The TAX3 committee chairman feels that the 17 Black revelations warrant attention. 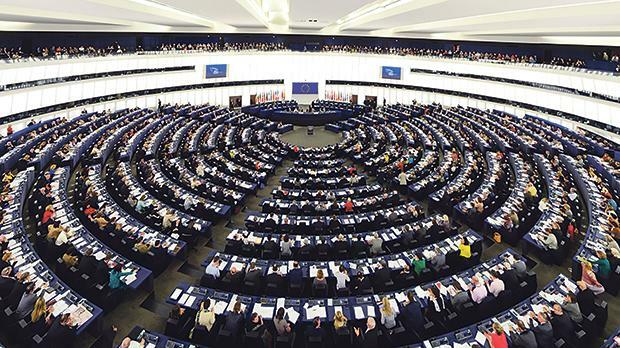 Malta’s ambassador to the EU, Daniel Azzopardi, received “tough questions” about 17 Black from the European Parliament’s special committee on financial crimes, tax evasion and tax avoidance. In a letter to Mr Azzopardi, Czech MEP Petr Jezek, who chairs the committee known as TAX3, said the latest reports about 17 Black warranted the committee’s attention. MEPs questioned whether there was any explanation why the Prime Minister’s chief of staff, Keith Schembri, and Tourism Minister Konrad Mizzi set up structures to receive regular payments of €150,000. A joint investigation by the Times of Malta and Reuters revealed last month that 17 Black, one of the companies that according to a leaked e-mail would make such payments, was owned by power station investor Yorgen Fenech. The MEPs asked if any action had been taken against Nexia BT, the firm that set up the structures, and against its money-laundering reporting officer, Karl Cini. Committee members also questioned if any investigations into potential breaches of public procurement rules during the power station selection process were under way in light of the 17 Black findings and a report by the National Audit Office. The “reluctance” of the government to accept calls for a public inquiry into the assassination of journalist Daphne Caruana Galizia was also issued by the MEPs. In a statement, Greens MEP Sven Giegold said the “tough questions” by the European Parliament were more than justified. Mr Giegold said it was unprecedented that key government officials remained in office despite strong indications of corrupt business. “The European Parliament deserves a complete answer to all the questions,” he insisted. Fellow committee member David Casa, a Nationalist MEP, remarked that the 17 Black revelations had to be understood in conjunction with the NAO report. He told Times of Malta that both findings were damning on their owns merits. Together, he continued, they provided a full picture of the machinations a few powerful individuals used in an effort to get “very rich” at the expense of the Maltese people. “The complete lack of action following these revelations is condemnable in the extreme,” he said.